A good female is as important to a breeding program as a good male is. 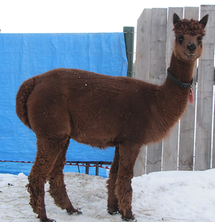 We maintain a diverse group of females ranging in both colour and bloodlines to support our breeding program. Many of our girls are proven in the ring alongside being proven in the breeding shed, with several champions and champion producers, and of course ribbon winners. Every pairing takes into account the fibre and conformation qualities of our females, as well as their temperament and mothering ability.